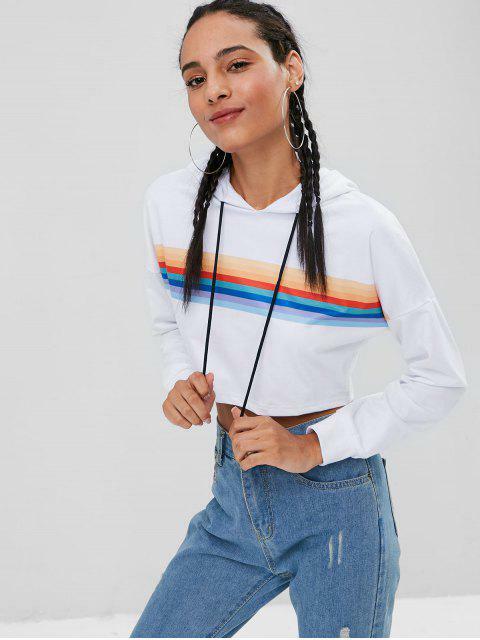 [41% OFF] 2019 Slouchy Striped Pullover Cropped Hoodie In WHITE | ZAFUL .. 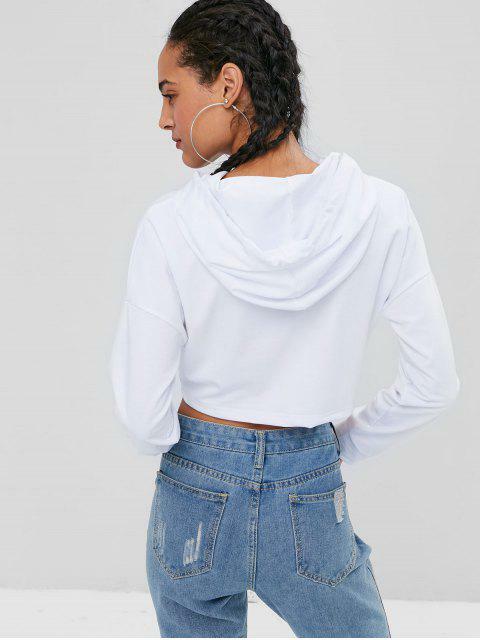 This cropped hoodie is perfect for slipping on post-workout or while running errands. 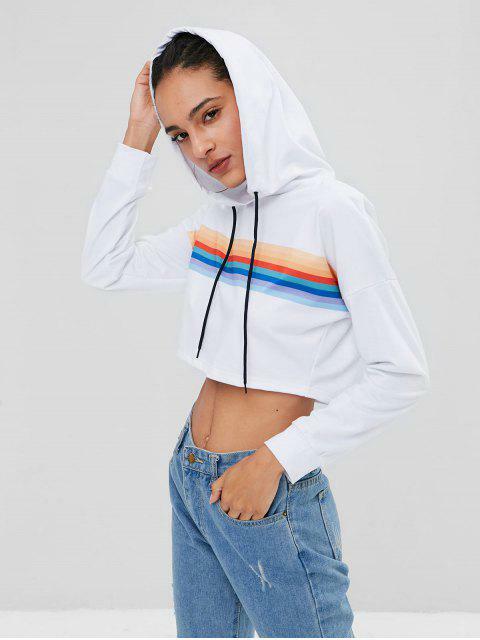 It comes with a slouchy hood with contrasting drawstring, dropped shoulder sleeves, and a rainbow striped graphic across the front.